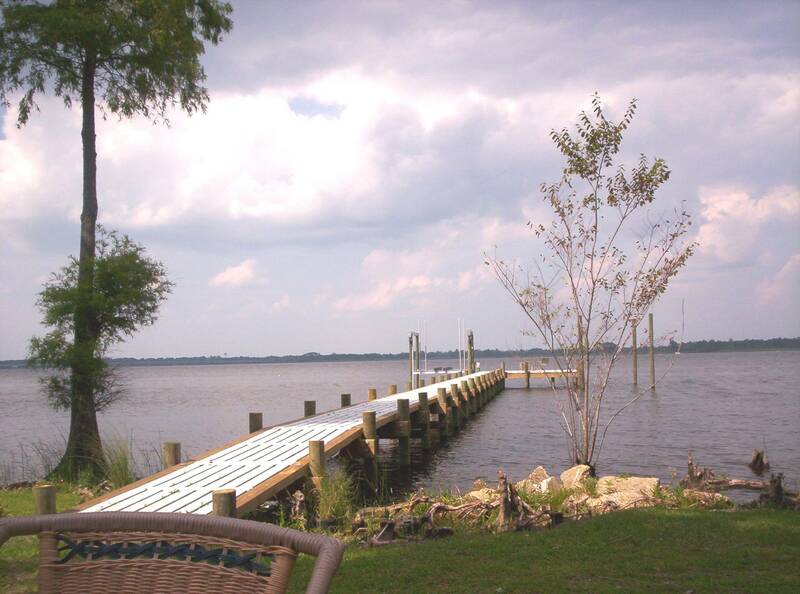 The Fort Point River House is located on a 1.5 acre river bluff about two miles east of historic downtown New Bern, NC. Originally built as a single-family home with an in-law apartment, the house was remodeled to accommodate vacation rentals in 2004. New in 2008 is a 150 foot dock. Since then the River House has provided many with a wonderful setting for weddings, receptions, family reunions, weekend excursions, and yearly vacations. Due to its spacious design almost every room in the house offers it's own magnificent views of the Neuse River. Couple that with the two first floor decks, a second floor deck, and a large all season sun room and the River House is sure to please every occupant with a beautiful vista of one of North Carolinas most cherished waterways. There is an owner occupied one bedroom 850 square foot apartment on site, which is occasionally available for guest rentals for an additional fee. Largely due to its commanding position along the Neuse River, New Bern was chosen As North Carolina's Colonial Capital in the 1700s. As such, the town and the surroundings area are steeped in over three centuries of American history. The neighborhood in which the Fort Point River House rests is a part of the James City portion of New Bern which was home to a historic settlement of slaves freed during the Union occupation of New Bern (early in the Civil War). The freed slaves would go on to create much of the towns leadership in the fields of education and governance during post Civil War Reconstruction. Reflecting the History of New Bern itself, bunker mounds from a fort used for the city's defence during the Revolutionary War and Civil War eras are still apparent on the property today. Complemented by the areas rich history and scenic beauty, The Fort Point River House is a perfect location for vacations, wedding receptions and family reunions. 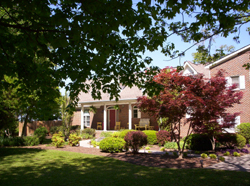 Located 2.5 hours From Raleigh's RDU airport and only four minutes from New Bern's own Coastal Carolina Regional Airport, the house is easily accessible by land, air, and by sea. Home with 2700 indoor space includes: 4 bedroom plus loft and sunroom sleeping areas, fully equipped kitchen, 3 1/2 bathrooms, and a 40 foot sun room, outdoor decks.